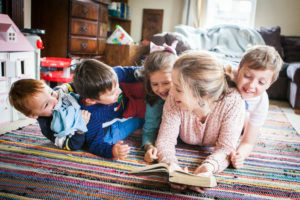 adoption: what is a sibling? I’ve been mulling this over for a little while now. Sibling relationships vary so much – and that’s without bringing adoption into the equation. For example, I have two brothers that I basically didn’t grow up with – the large age gap meant they were away at school and university, and then moved out, while I was going through childhood. We are still siblings, despite not having shared memories of beach holidays, den building, exploring and ganging up on parents together. Some people cemented their sibling relationship with late-night chats, clothes-swapping, advice-asking. Others established their relationship with arguing, fighting, snapping. We are all so different. For some of us, a sibling is someone you share genes with, someone who has the same number of siblings as you. But that isn’t true for my four children. Each of them shares genes with just one of their three active siblings. Two of my children have three siblings. The other two have six – technically. The younger two children spent the first year of their lives in another family. Confused? Missy, 5, gives the best, no-nonsense response to all of this. Explaining to her that we’re all going to court to celebrate the fact that Monkey and Meerkat are now legally adopted, and therefore officially her brothers, she replies, “But they’ve always been our brothers”. You see, my children have fathomed the secret of being a sibling much quicker than I have, with all my weeks and months of reflection. It is this: to be a sibling is to choose to be a sibling. It is choosing to refer to ‘my brothers’, even though you’re just getting to know them. It is choosing to play with them, entertain them, make them laugh, care for them, even though they’re still learning to trust you. It is choosing to love them even when their cuddles aren’t directed at you. AND. It is shouting, fighting, yelling, arguing. But it is the choice to do these things, knowing that the sibling relationship is secure. If adoption has taught me anything, it is the incredible depths that children will go to in order to choose to love a sibling. They do it so naturally and with so little fuss. And it makes me wonder why we grown-ups make it so difficult.